The baddest, most elemental demon killer we've ever played has been dormant for too long. Capcom must have heard our cries for another dose of some Onimusha action, right? If we ain't gettin' another game, then let the lead warrior take some side gigs. Feudal demon destroyers gotta eat too, right? Samonosuke Akechi has a ton of weapons at his disposal that could be put to good use in this weapons battler. Let him handle fools with his Enryuu, Raizen, Shippu and the oh-so-deadly Bishamon sword. 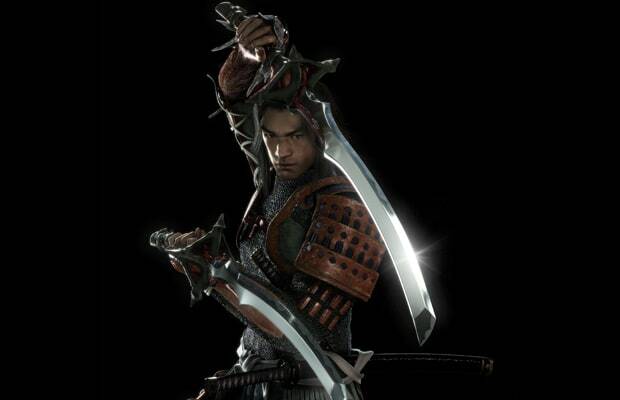 We'd prefer the 3rd Onimusha's version of our trusted killer. His flowing locks would get the ladies of Soul Calibur's all hot and bothered.